Tree is built with a focus on beautiful high quality content. While other media feed applications are more intent on social, Tree, while providing social features, is focused on the media feed, and gives it the attention it deserves. 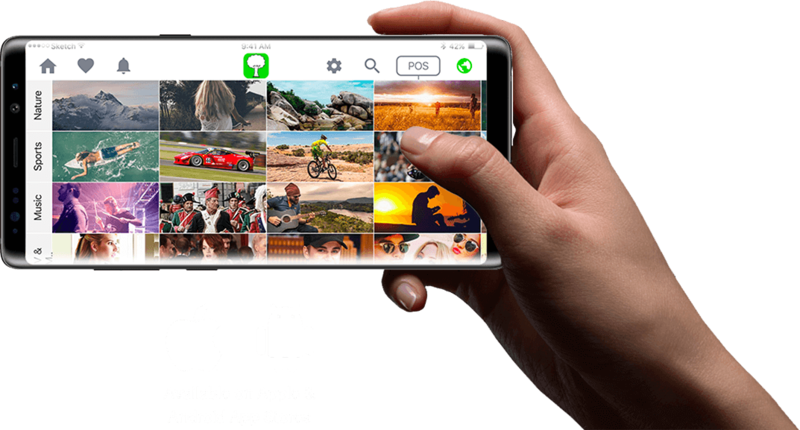 Upload stunning high quality pictures & videos either right from your phone, taken right then, or from the camera roll. We also have a web-based portal through which media managers for artists with large followings can upload content should they choose to do so. The "Explore" feature of Tree is truly unique & powerful as it allows users to get a beautiful grid view of thumbnails showing media content from different categories. Scroll up or down to see more categories, and scroll left or right to see more media from each category. Using it is very intuitive and it just makes sense. Get creative and bring out your artistic side! With the custom photo editor, Tree users can use their creative freedom to get that picture just right and evoke the right kind of emotions from their viewers. Of course, no media feed application is complete with social elements and Tree has the whole set of features in this department as well. View your own user profile with all your posts in one place, or check out the profiles of other users. If you like someone's style, go ahead and follow them so that their content appears in your feed. Everyone likes being appreciated and Tree encourages you to do so. Like posts by others, Comment on them and Share them on your feed for your followers to find new content as well. Tree is a media feed that encourages growth and spread of media across its members. 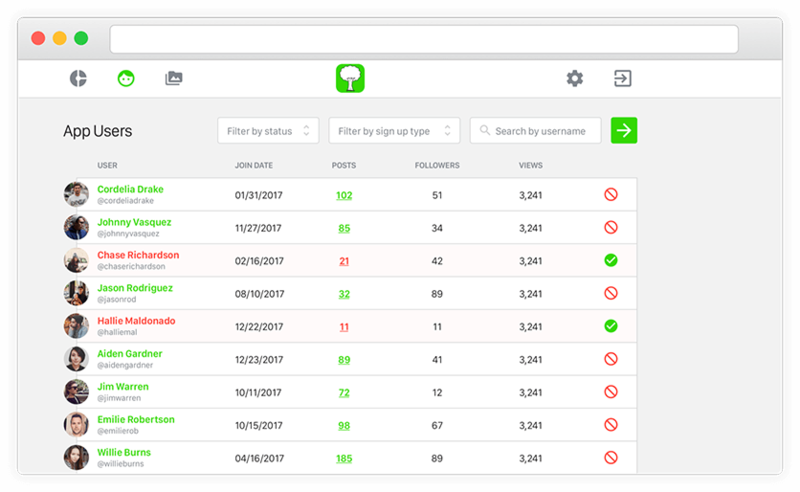 The administrators get a whole suite of tools to moderate and monitor the activity performed by users. Need to ban an offensive post, find the most active users or the most popular posts? No problem! Our admin panel will allow you to get the job done with ease. Still in early beta, Tree has already accumulated thousands of posts and generated a great deal of buzz amongst the community. With new features on the horizon, Tree is ramping up its efforts to launch to the global market shortly.